Getting fit and healthy is something that everyone needs to at least consider and, even better, start working on. Yet it can be difficult to find the time, especially if you have a family to take care of as well. When you think about it, though, part of the job of taking care of your family is to keep them healthy, so why not all exercise together in a variety of different ways? Not only will you all feel better for it, and be fitter as a consequence, but you can also teach your children about being responsible and looking after their own health; a skill that will benefit them greatly as they get older. Here are some great and easy ways to get fit as a family; once you start enjoying them, you’ll wonder how you ever managed without. Some families have a backyard to play in. Others will be close to a play park. Still, more will be near a beach, a forest, an area of green space. No matter where you live or what you have close by, there should be somewhere you can go just to play. Run around with a ball, play catch, play tag, teach the kids how to ride a bike, make up silly games that make no sense whatsoever but that keep you moving. Although it may not seem like it at the time, this is actually exercise. It’s fun too, so it will keep the little ones engaged as well as getting them – and you – healthier. The great outdoors offers endless possibilities for fun and fitness, so it’s important to get out there as much as possible to really make the most of your time together and get your exercise in at the same time. As a family, you can enjoy so many outside activities, including a chance to enjoy a playset as a family! Doing the same thing over and over will get boring, no matter what it is. Once boredom sets in, the kids will no longer be quite so keen to get out and go with you when you want to exercise. This is especially true when TV or tablets have such a pull on even young children. If boredom is starting to get in the way of your exercising, no matter whether it’s you or other members of the family who are feeling it, then it’s time to try something new. Get together and discuss what you might do as a family so that everyone feels included. You might switch bikes for skateboards, or instead of swimming you might learn how to surf. Make it fun but keep it active, and exercise will never feel like a chore. You can go for swimming, but make sure to carry all swimming supplies with you. Take along the bacteria detecting towel, if you are not swimming in your own pool. Mizu, is the world’s first bacteria detecting towel that dry 3x faster than average other towels. Its color changing strips easily detect residual soap, sweat and bacteria to make you clean and healthy. By working up a sweat and volunteering at the same time, you are really benefitting yourself, your children, and the community at large with your work. No matter how motivated you might be to exercise and get fit, sometimes it’s not so easy to persuade your family to join you and feel the same. Although you could simply go and exercise alone, and although you will certainly be helping them by ensuring they eat well and healthily, it’s also good if you can be an inspiration to them so that, even if they don’t want to join in right now, they might one day realize how much good you were doing. The key, therefore, is not to give up even if you have to go it alone. Show your family how great you look and feel, and keep exercising and getting fit. You might even choose to make it a bigger part of your life by completing OriGym’s personal trainer course and turning your fitness into a full or part-time career. Starting your own fitness business is a sure way to inspire your family, and others too. It’s great to have fun when you are exercising, but sometimes the household chores seem to get in the way. Don’t worry, though; you can work up a sweat and raise your heart rate when you are cleaning the house as well, plus it’s something that the whole family can easily get involved with (the children may not like their chores, but it is important that they do them to instill a sense of responsibility and to help equip them for later life). Work as a team and the cleaning will go much more quickly, plus the faster you work, the better workout you’ll have. Cleaning windows, for example, is a fantastic way to get the arm muscles working hard. Vacuuming works the legs and the arms. Rearranging furniture, or simply moving it out of the way, is great for your core strength. Plus, there is the chore of changing the bedclothes; that always seems to be hard work, but that’s a good thing when you are using it as a way to get fitter as a family! 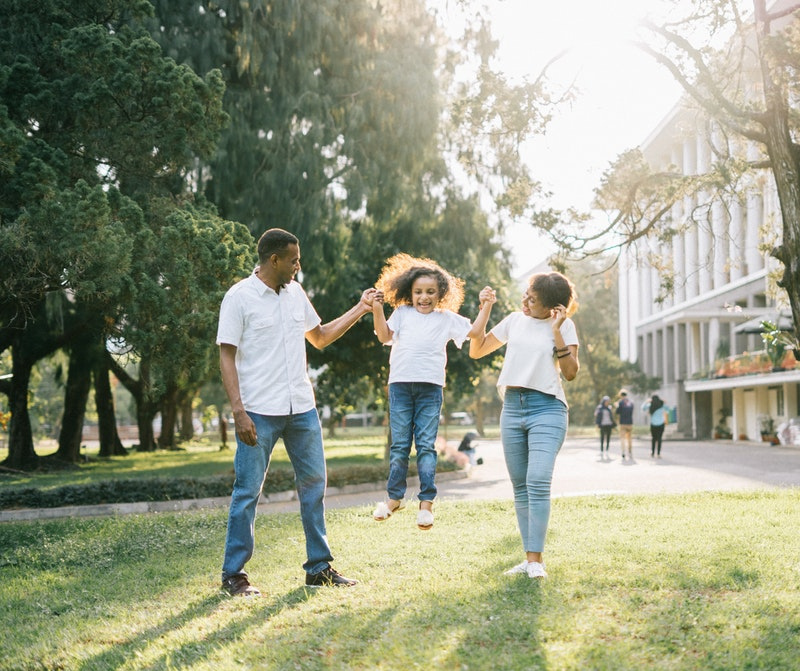 If you start to search around, you’ll see that there are plenty of classes that cater to parents – either moms or dads or both – and their children. These are great, and perfect to join as a family as not only will you be working out together and hopefully having fun, but the classes are made for your age groups, ensuring that no one is left out and everyone can feel the benefit. Plus, when you work out with something, you are more inclined to feel motivated to go each week, so it helps to keep everyone in a good routine. You can even create specific goals to work through these classes, and that is yet another way of keeping the entire family on track and making fitness a priority that they enjoy being part of.